Brian G. Smith, Ph.D. (University of Maryland, 2009) researches public engagement with organizations via digital and online interactive media, and the organizational response, integrated communication (iComm). He has built recognition for his scholarship on the concept and structure of what he terms “organic” integrated communication, or the internal spontaneous and natural evolution of integration, and the role of public relations in iComm toward the distribution of communication activities to publics via interactive media. Dr. Smith’s work on public relations and engagement seeks to explicate stakeholder involvement with organizations via digital social media, and the influence of these heightened levels of organization-stakeholder interaction on public relations and the marketplace. He also studies the development and implications of public relations measurement in the integrated structure of iComm, for which he was awarded the Institute for Public Relations Ketchum Excellence Award. Brian Smith’s research has been accepted for publication in Journal of Public Relations Research, Journal of Communication Management, Public Relations Review, The Public Relations Journal, the International Journal of Integrated Marketing Communication, the Catalan Journal of Communication, and Journal of the Association of Communication Administration. He has also contributed chapters to the Sage Encyclopedia of Public Relations (2nd Edition), Digital Public Relations Guidebook, 2.0 (3rd Edition), and the Encyclopedia of Sports Management and Marketing. Prior to his position at Purdue, Dr. Smith has worked at the University of Houston, and he also filled professional positions in public relations, marketing, online brand management, and publishing. He teaches courses in public relations, integrated communication, and digital and online communication management. He manages a student blog (www.bloggeruniversity.wordpress.com) and blogs on communication at www.theorynpractice.com. 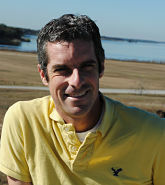 Dr. Smith also enjoys researching and teaching in global communication and is fluent in Spanish.